How to integrate Aritic Mail with Drupal? 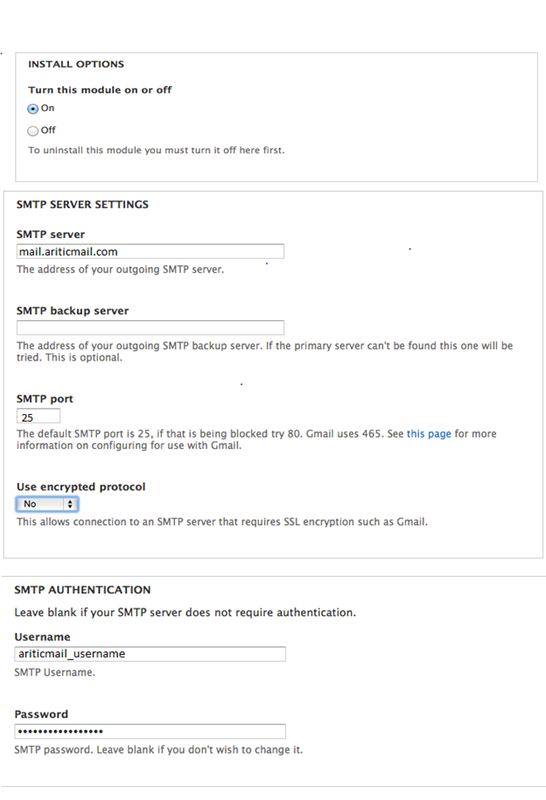 To send emails from Drupal using AriticMail, you may use the SMTP Authentication Support module, or the Swift Mailer module depending on your needs. 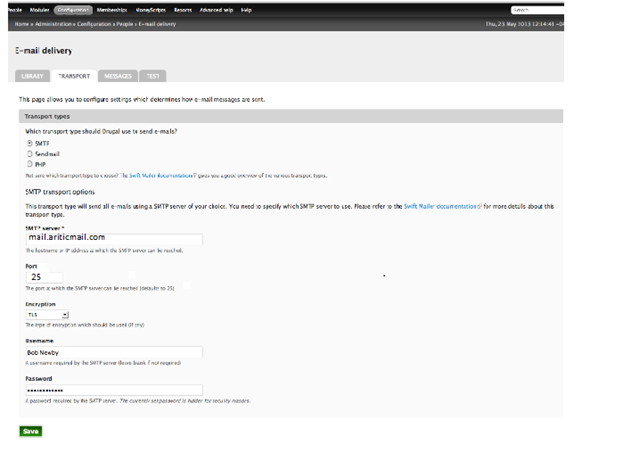 To use AriticMail with Drupal, use the SMTP Authentication Support module. Install a version of this module that is compatible with your version of Drupal. Use Encrypted Protocol – No. If you want encryption choose “Use SSL”.